ABIST is a group of design engineers. We will support your product development with high quality services. 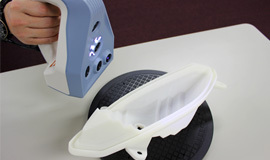 We offer 3D modeling and printing services from the design stage to prototyping. 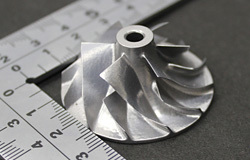 Our services include the production of functional prototypes of mechanical parts as well as product masters. 3D modeling using various materials and high-end 3D printers. Cutting is available as an option for metal modeling. 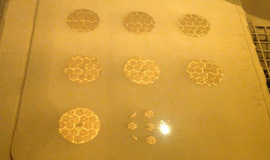 Coating, surface treatment, cutting, and casting are available. We use high-precision 3D scanners for building accurate models of actual objects. Metals are easy to machine and now used for a wide range of uses. 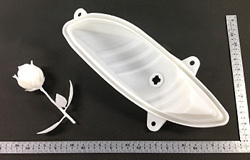 Molds with three-dimensional water pipes, thin-walled parts such as propeller shafts, brackets with complicated shapes, and others can be formed at lower cost than using conventional molds. Using dedicated software, we can also incorporate topology design for weight reduction. Resins are generally easy to shape, providing a high degree of freedom in shape. Various types of resin are available, such as nylon, epoxy resins, and acrylic resins.Each resin material has its own characteristics, including heat resistance, transparency, and toughness. Since each resin material has its own characteristics, including hear resistance, transparency, and toughness, you can select the resin material most suitable for your uses. 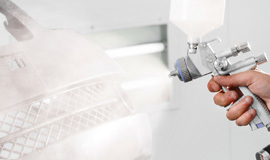 Also, coating is available as post treatment. Feel free to contact us. 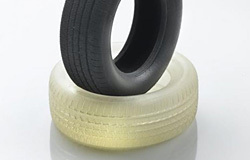 Acrylic rubber-like materials have properties similar to those of rubber, such as bending, elongation, and torsion properties.Black and milky-white colors are available. They can be shaped into pipes, toys, shoe soles, and others with complicated shapes. They can also suitably be shaped for various uses because of providing various degrees of softness. (Durometer) 40 to 55 MPa Even complicated shapes can be formed by using water-soluble support material. (Durometer) 50 to 60 MPa Various colors are available. (Shore) 0.8 to 1.5 Mpa Degree of hardness can be adjusted. From 3D design and data creation to 3D print! We are a group of design engineers who work together to support your business objectives. Mutual trust between our customers, employees and stakeholders is of paramount importance to us. Copyright © ABIST All rights reserved.